Published: Dec. 4, 2012 at 04:27 p.m. Updated: Dec. 4, 2012 at 05:51 p.m. If Pittsburgh Steelers quarterback Ben Roethlisberger is able to return Sunday after missing three games with shoulder and rib injuries, he will see an offense that looks a bit different. » One-time backup Jonathan Dwyer has been cast into a starting role -- at first because of injuries, but now seemingly on merit -- and is being pushed to take the mentality that he is a "workhorse" who doesn't need to be spelled. 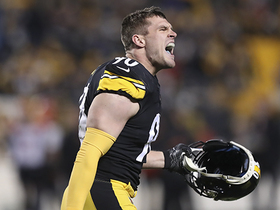 » A tweaked game plan not only allowed 37-year-old quarterback Charlie Batch to win against Baltimore but also got some of the receivers to figure things out, after they originally struggled adjusting to life without Roethlisberger. Coach Mike Tomlin's threat of pulling starting jobs didn't hurt, either. » That game plan also helped limit the effects of some shortcomings of an offensive line that's been shifted again and again because of injuries. » The benching of tailback Rashard Mendenhall and the potential to do so with other players "was to get guys mentally in the right place for the final month of the season. Right now, it looks like genius," Haley said. However, Mendenhall, who is coming off major knee surgery and an Achilles injury, is expected back at some point, and Haley said the improving Dwyer needs to show that he wants to be The Guy. Dwyer started against the Ravens, and Mendenhall was a healthy scratch after he fumbled twice in a 20-14 loss to Cleveland on Nov. 25. Haley said the message being conveyed to Dwyer is, "Don't let us change you out." Haley also explained how Batch, the longtime backup, made such a radical change, going from a three-interception, zero-touchdown, 38.7-passer rating performance in the loss to Cleveland to throwing for 276 yards, with one touchdown and one interception, against the Ravens. "Two big factors," Haley said. 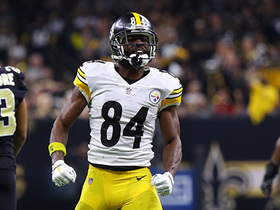 "Charlie had another week of practice and (receiver) Antonio Brown was back (from an ankle injury). He was not 100 percent, but he makes a difference. The biggest thing for me was getting to know what Charlie likes and play to those strengths. That's something I pride myself on, and I felt so bad the week before, because it was such a short time. 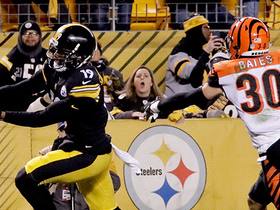 You want Ben in there, but as a coach with a backup, you still have to be successful." Haley said he spent so much time getting Roethlisberger reps in his new scheme that Batch was limited. 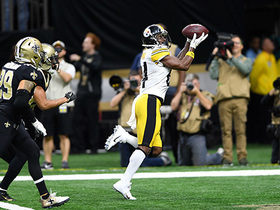 When Batch stepped into the enhanced role before the Cleveland loss, there also was a disconnect between the receivers and Batch because he didn't get the ball to them like Roethlisberger did. As a result, some of the bad habits that Roethlisberger was good enough to compensate for manifested themselves when Batch stepped in. Haley was not specific but suggested there was a lack of attention to detail with regard to route running and focus. Haley declined to specify if that was why Wallace was threatened with a demotion, though drawing that conclusion makes sense. To ease Baltimore's pass rush, Haley said the plan was to use the screen pass and short passing game. It worked, so that for much of the second half, Haley said, the Ravens weren't rushing up field but instead were chasing receivers horizontally. Batch was sacked twice, but he completed 25 of 36 passes. When the Steelers got the Ravens to change from rushing up the field, that opened up throws downfield, especially to tight end Heath Miller, who had five catches for 97 yards. "We didn't allow them to get cranked up," Haley said of the Ravens' defense. The strategy also helped protect right tackle Kelvin Beachum, a rookie right tackle making his first start, Haley said. If Batch and/or Beachum have to start against the San Diego Chargers, similar concepts should be expected. Scheme aside, Haley dished most of the credit for what happened offensively against Baltimore to Batch, whose focus all week before the Ravens game got players to ratchet up their effort during practice and really stay dialed in during the game. "From his vantage point, he didn't know if he'd ever get the chance to start again -- and he might not," Haley said, who added that Batch also was spurred by criticism for his performance against the Browns. "He seriously practiced and played like every snap could be his last. You want all your guys to be that way, but seeing where he is in his career, he's actually living it."